Hola peeps! Slowly but surely posts from fashion week will begin to trickle in. 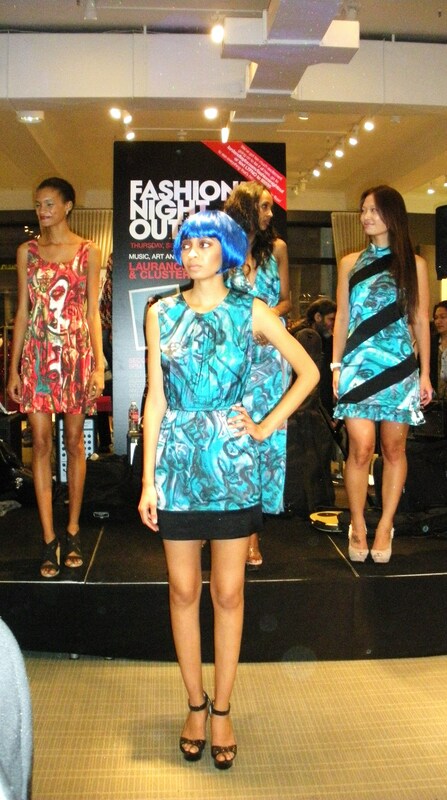 However, first up is FNO! 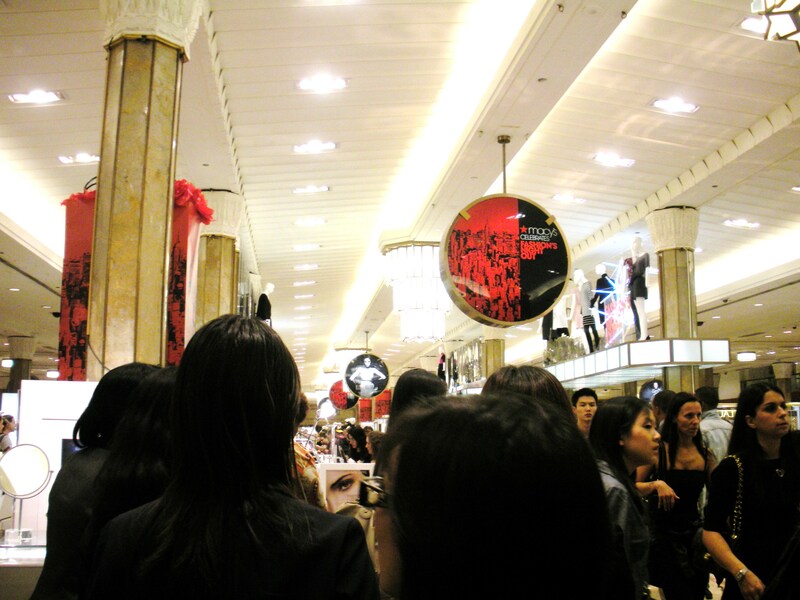 I dipped in and out of a few stores, I just couldn’t handle the madness. 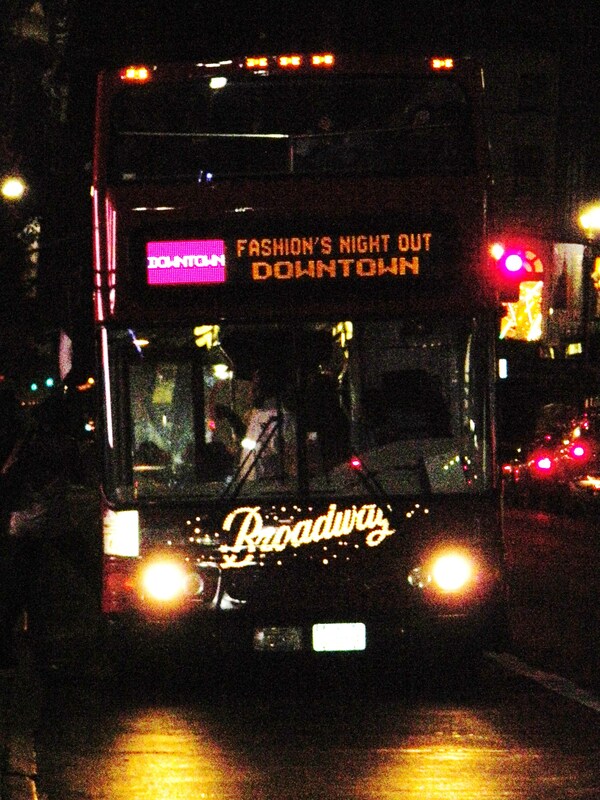 NYC was filled with fashionistas with smiles on their faces, shopping bags on their shoulders and cocktails in their hands. 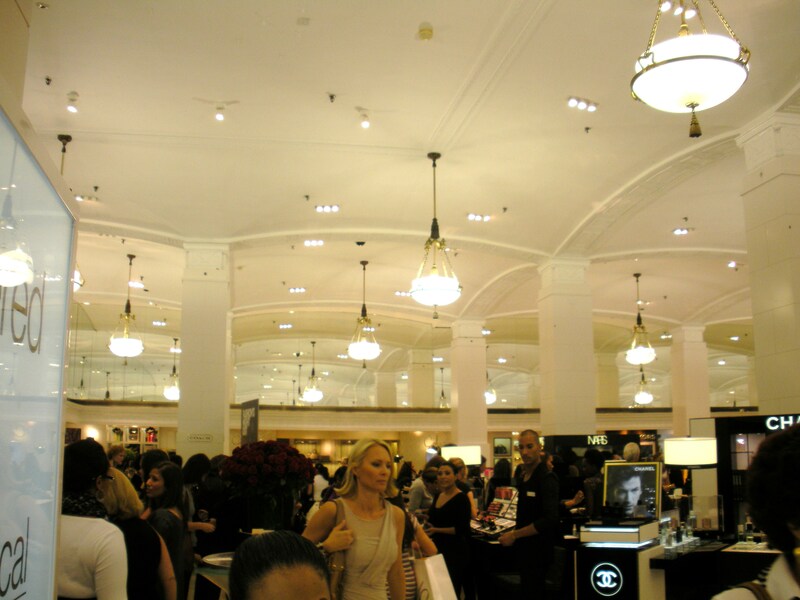 After work I sprinted to Lord & Taylor to see if I could catch a glimpse of Solange DJ’ing…FAIL!! I searched every floor and either I was too early or too late….no sighting at all! 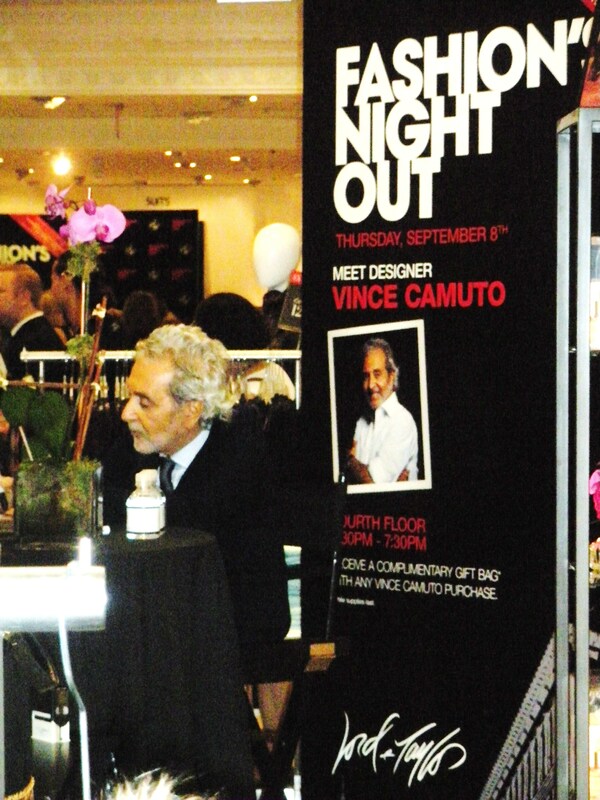 In the meantime I was able to snap a few pics of designer- Vince Camuto and editor Suze Yalof Schwartz to name a few. As well as some crowd shots of the mayhem. 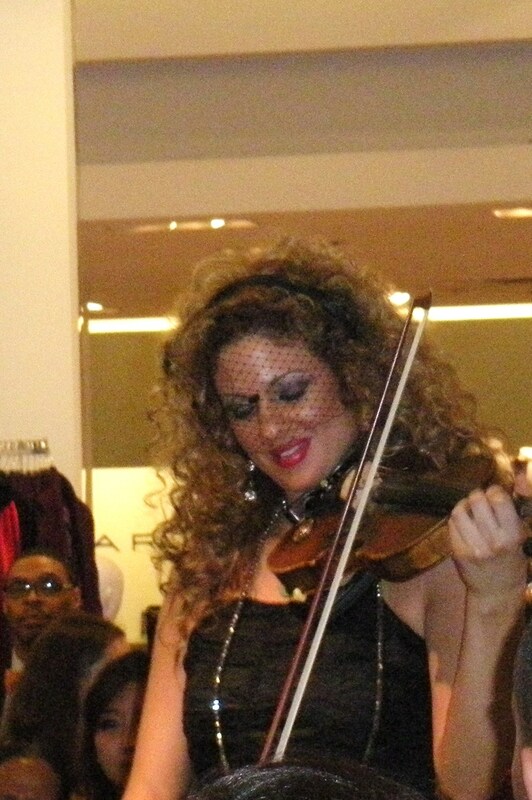 The fashion crowd at Lord & Taylor. Her curlz are so pretty! Sephora Make-up consultant does a makeover. So upset I missed the festivies in my area. Belk had something going on and the mall was celebrating as well. I love Vince Camuto shoes, they sell them on HSN and I’ve seen them in Belk. Prices aren’t bad! The crowds were out of control here in NY. 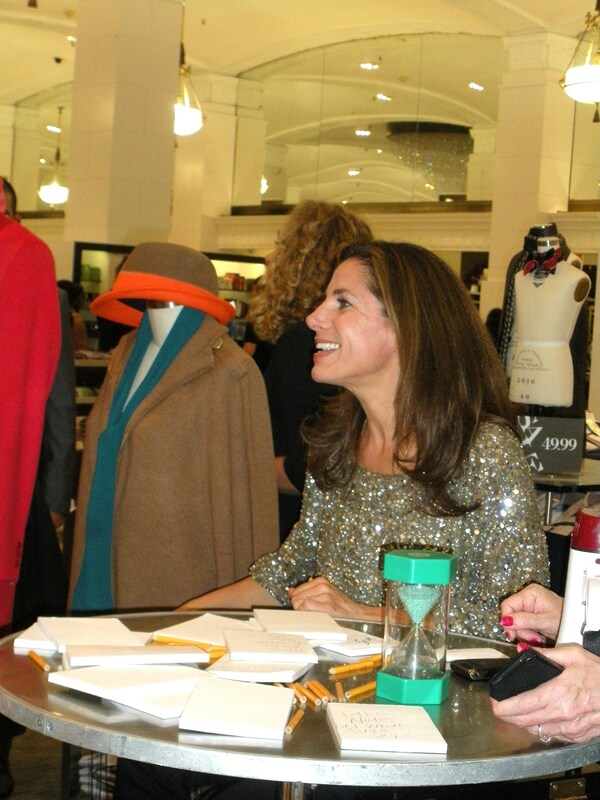 Next year I will not be going o any department stores I plan to stick to small boutiques in hopes of avoiding the mania! Ditto I love Cinve Camuto as well. Too funny about the model..haha.